Darrel WATSON, 60, was home with his wife Wally on Monday afternoon when he stepped outside to take a look at the ominous clouddeck. Minutes later, with an Olympus C-4000 Zoom digital camera in hand, he captured spectacular images of this 100-yard-wide cloud funnel. 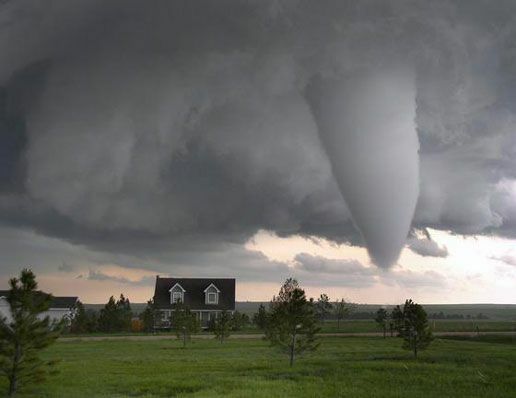 The cloud developed into a tornado and descended about a half-mile away. Watson and his wife live in Kelly Airpark, west of Elbert, Colorado. It destroyed two barns and uprooted several trees, but did not cause any injuries.